Perfectly balanced weight to help you develop feel! The Momentus Golf Power Hitter Lob Wedge is a great addition to anyone’s golf bag. 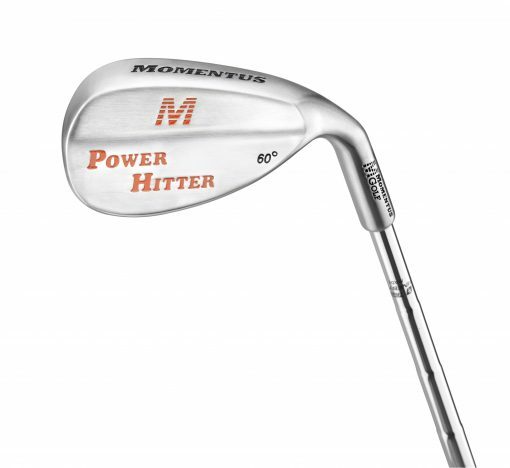 This wedge is unlike any other as it uses perfectly balanced weight properties that allow it to not only help you develop feel and touch in your practice but lets you take the successes you will experience to the golf course with the same Power Hitter Wedge you practiced with! Perfect weight balance promotes feel while staying playable in actual rounds. Great look gives you the same aesthetic as if you were playing a $100 wedge. Performs as well as any wedge on the market.